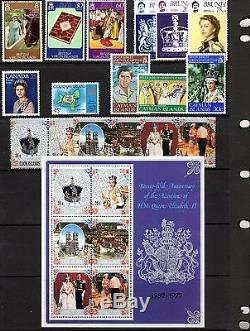 1977 Silver Jubilee of Her Majesty Queen Elizabeth II. 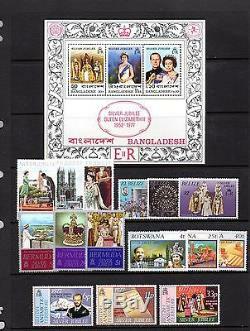 Comprehensive collection of issues from many different countries, almost all unmounted mint. 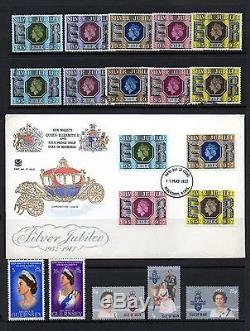 The collection includes many difficult and seldom seen sets, locals and cinderellas e. Paraguay, Congo, Guine-Bissau, Mali, Eynhollow, Nagaland, Staffa, Iso Sverige, Summer Islands etc. Please also see the scans for further information on condition. 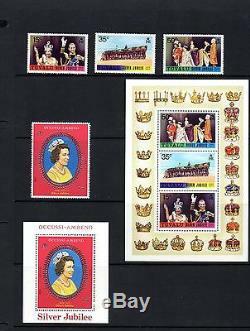 NB The horizontal line on the scan images is the clear plastic mount and does not appear on the stamps. 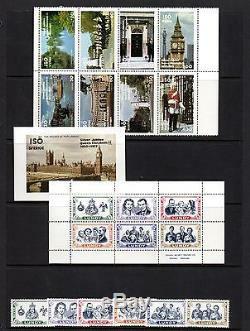 Also includes a couple of used sets and four first day covers. 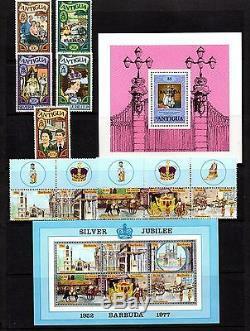 The full collection is illustrated and listed below - please scroll down for images..
Full list of contents is as follows. 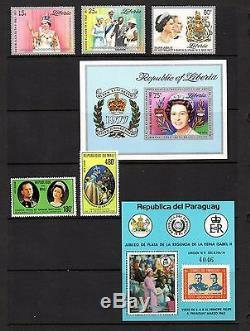 Plus 2 different miniature sheets u/m, Guine-Bissau (set and miniature sheet), Liberia (set and miniature sheet), Mali, Paraguay miniature sheet, Togo, Upper-Volta (set plus miniature sheet, plus miniature sheet used). 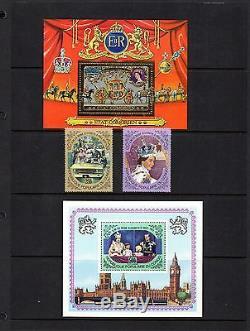 PLEASE SEE MY SHOP PAGE. 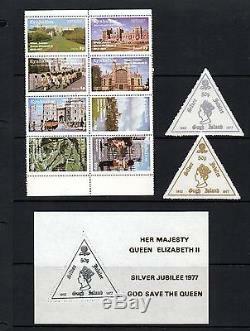 The item "1977 HM Queen Elizabeth II Silver Jubilee COLLECTION many difficult sets u/m" is in sale since Tuesday, July 29, 2014. 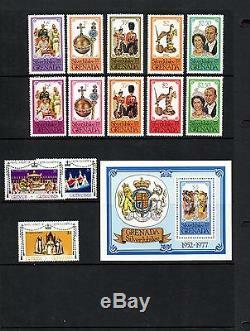 This item is in the category "Stamps\Worldwide\Omnibus Issues". The seller is "old-clee" and is located in Cleethorpes. This item can be shipped worldwide.